Baton Rouge, La - The Southern University Ag Center’s first chancellor, Dr. Leodrey Williams says goodbye after 14 years of esteemed service. June 30, 2015 marks the end of an era with Williams as SU Ag Center chancellor, part of his 50 years as outstanding figure in the Cooperative Extension arena at the national, state and local levels. 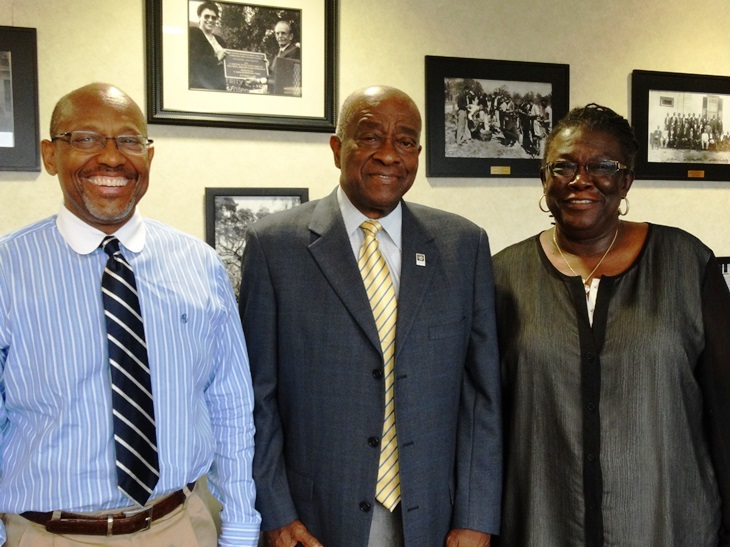 During his tenure at the SU Ag Center, Williams was assisted by Adell Brown Jr., vice chancellor for research and Gina E. Eubanks, vice chancellor for extension. On June 30, the SU Ag Center family gathered around the chancellor with a cake to offer him best wishes on his retirement. Effective July 1st, Dr. Brown will step up as Interim Chancellor of the Southern University Ag Center. Baton Rouge, La - The Morehouse Parish Black Farmers’ Association and the Southern University and LSU Ag Centers will be hosting their 14th annual field day on July 24, 2015 at Mr. Harper Armstrong’s farm in Collinston, Louisiana starting at 7:30 a.m.
Every year, the event includes presentations and farm tours of highly successful farms. For full details, please contact Odis Hills at (318) - 281-5741 or 318/ 281-5742. 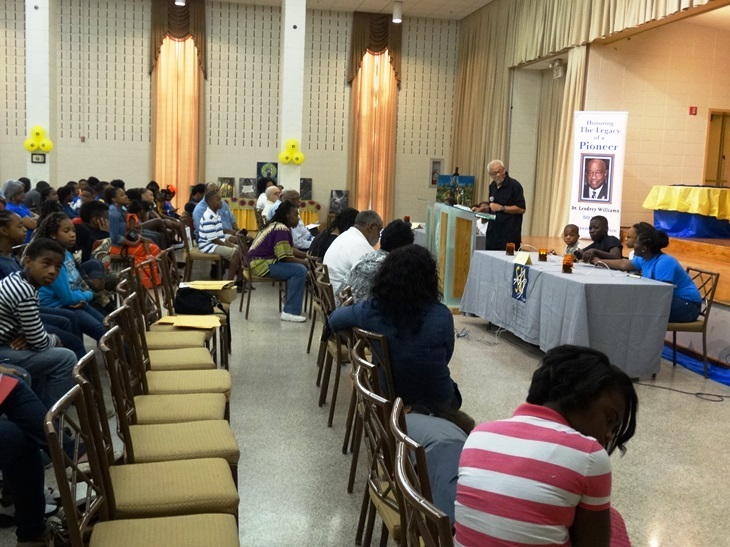 Baton Rouge, La - The Southern University Ag Center’s annual Family and Youth Exposition successfully concluded on June 20 with an awards ceremony. The culminating event for the 2015 youth development program activities statewide, brought nearly 600 youth together for a two-day educational, fun-filled experience. Each year, Southern University Ag Center specialists, agents, and researchers deliver a memorable program. This year was different in the number of participants topping the 500 mark with Avoyelles Parish leading with a record-high of 256 students. 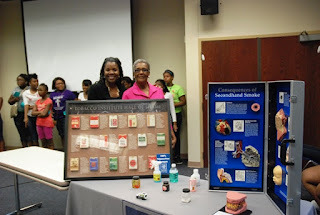 This year’s Expo was themed "Discover the Reward of Educating & Advancing Minds." 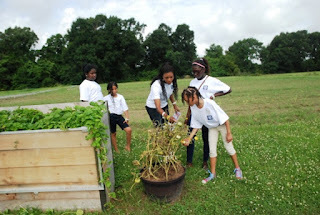 The youth made a strong connection with the agricultural sciences and beyond. The youth competitions were outstanding. In the Quiz Bowl contest, Iberia Parish took first place in the junior category and Morehouse Parish came in first among the senior teams. The second place in the junior category went to East Baton Rouge Parish while St. Helena/Tangipahoa placed third. In the senior category, St. Landry Parish placed second and Calcasieu was third. The Illustrated Talk and Public Speaking competitions centered on diverse topics and comprised of three categories respectively. In the ages 9-12 group, Isaiah Bonner of Caddo Parish took first place and Joseph Goodbear & Makhi Carnell of St. Martin Parish placed second. Among the 13-15 year old, Taylor Threats & Chardai Burks of West Carroll Parish placed first, Jasmine Owuamanam of St. Martin second, and Jordan Curry of Madison Parish third. In the 16-18 year category, the lone contestant, Seth Portier of St. Martin took first place. Among the Public Speaking contestants, in the ages 9-12 category, Marqus Maitland of Desoto Parish took first place, Miracle Styles of Madison Parish, second and Quinn Jean-Batiste of St. Martin third. In the 13-15 age group, Kayla Hawkins of Orleans Parish won first place, while Jon’Terrinee Lewis of St. Landry Parish, second and Amaiya Bickham also of St. Landry third. The 16-18 year old winners were first, Kanessia Crouthers of Madison Parish and second Aerial Anderson of Orleans Parish. Youth arrived on Thursday, June 18, got acquainted and enjoyed fun activities on the grounds of the Southern University Ag Center despite scattered showers. The next two days, they participated in educational seminars, workshops, illustrated talk, public speaking, and quiz bowl competitions. 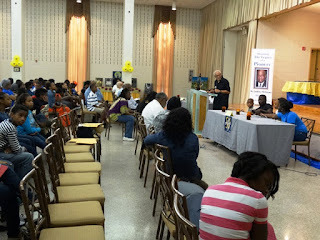 The event concluded on Saturday, June 14 with awards and recognition. Our retiring Chancellor Leodrey Williams was present for his final Youth & Family Expo and bid farewell to the youth with parting advice. “Life is about helping somebody else better their lives,” said Dr. Williams. He concluded with an expression of thanks to all. Dr. Wanda Burke serves as Youth Development Specialist and Expo event chair. Baton Rouge, LA- After 50 years of service in the century-long cooperative extension program, Chancellor Leodrey Williams, Ed. 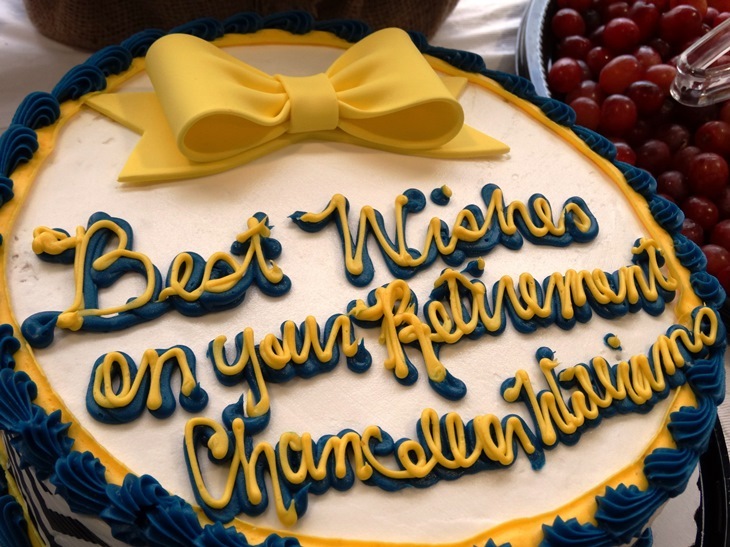 D of the Southern University Agricultural Research and Extension Center will retire on June 30. Dr. Williams grew up working on his family’s farm and said it was a way of life. “That was the only income we had. My father was a farmer and, at a very young age, I started plowing and cultivating the field. It was just work and going to school,” he added. Williams was not formally introduced to agriculture until high school as a member of the New Farmers of America Program. His participation in the program’s quiz bowl contest allowed him to visit Southern University and reside in the dormitories while in high school. However, things did not work out as planned. He ended up taking the ‘Peace Corp’ Exam during his senior year and was selected to go to a foreign country. He declined the offer to take a class he needed to graduate and asked to be reassigned later. Just before his graduation, Williams was drafted to the Army. “I didn’t get a chance to go to the Peace Corp. After three years and a couple of months in the Army, that was enough Foreign Service for that time. I was ready to go to my professional job,” said Williams. In 1965, after being hired as the assistant county agent for work with Negros in Richland Parish, Dr. Williams began his professional career in Agriculture with Cooperative Extension. Six weeks later, the title was deemed illegal after the passing of the Civil Rights Act. Although Williams was assigned that specific title, he also worked with white farmers. “I worked with some (white farmers) who said I was the only person that worked with them. White agents had never worked with them,” said Williams. In 1971, Southern University established its own extension office and hired Williams as an agricultural specialist, along with a small staff, to recruit and create programs. He later held quite a few positions at both Southern University and Louisiana State University. As a director, he served on several national committees and was appointed ombudsman of a national task force organized to ensure the “upward mobility of extension.” He would go on to become the national director of this task force and was in charge of funding for extension programs at 104 land-grant universities. 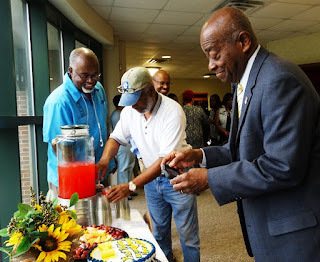 In 1995, Dr. Williams returned to Southern as the cooperative extension director, and in 2001, was asked to lead the newly formed Southern University Agricultural Research and Extension Center, the fifth campus of the Southern University System. His planned was to work for two and a half years, but has held the position for 14 years. As Chancellor, his focus has been to move and grow the Center as an intricate part of the Southern University System. “With the shortage of resources in higher education, we have not been able to get the funding that has been appropriated for us,” said Williams. “I hope we will get to the point where funding appropriated for the Southern University Agricultural Research & Extension Center will be used for that purpose,” he added. After retiring on June 30, he plans to volunteer for charitable organizations and hospitals. “Whatever I do, I plan to remain active,” said Williams. The Southern University Ag Center will host a retirement celebration for Dr. Williams on June 18 at Boudreaux’s, 2647 Government Street in Baton Rouge. Funds generated from the event will support the Leodrey Williams Scholarship Fund. 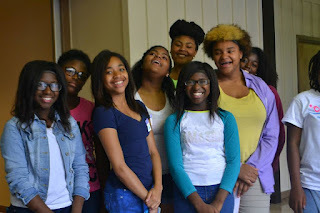 This article was written by LaKeeshia Giddens and Donna Badon. Baton Rouge, LA- Approximately 300 youth from throughout the state will converge onto the Southern University Ag Center for the 2015 Family and Youth Exposition from June 18-20 on the SU Ag Center and SU Baton Rouge campuses. 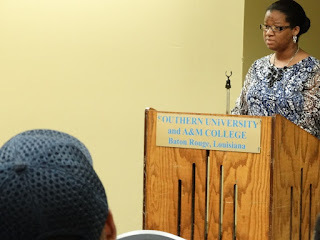 · Public speaking and illustrated talk - Friday, June 19 from 9 a.m. - noon in the Smith–Brown Student Union on the Southern University campus. · Quiz Bowl – Saturday, June 20 from 9 a.m. – 10:15 a.m. in the Cotillion Ballroom of the Smith-Brown Student Union. Licensed Marriage and Family Therapist, Dr. Donna Andrus will serve as the keynote speaker for the event. Andrus, known to many as “Dr. Truth” has been described as a consummate professional motivational speaker. He delivers uplifting and enriching messages to audiences of all ages, races, cultures, and religious denominations. Andrus also has an extensive military background and has served in the United States Marine Corp, Army and Air Force. He earned an Associate, Bachelor’s and a Master’s Degree in Education: Marriage and Family Therapy from Our Lady of Holy Cross College. He also holds a Doctor of Divinity and is a member of the National Speakers Association as well as the International Speaker’s Network. He has written a book entitled, “Man in the HOOD” offering his prescription for the recreation of the positive male image. For additional information about the Southern University Ag Center’s Family and Youth Expo, contact Dr. Wanda Burke at 225.771.2242. Greensburg, LA – The Southern University Ag Center, in partnership with the Missy Radio Organization and United Way, kicked off its summer iRadio Camp for youth in grades 1st – 3rd on Thursday, June 4 at the St. Helena Arts & Technology Academy. During the camp, interactive DJ’s will learn the basic fundamentals of radio through a unique hands-on approach. In just four weeks young campers will be knowledgeable about Radio Sales, Promotions, Production, and Programming. “iRadio Camp is very fun in nature, but we’re still developing critical thinking skills, and leadership skills,” said Nicolette Gordon, SU Ag Center Assistant Area Agent for St. Helena and Tangipahoa Parishes. “Our goal is to foster self-esteem and teach our youth how to work cooperatively in teams,” added Gordon. This collaborative effort came as a result of the Capital Area United Way wanting to tackle Summer Learning Loss in St. Helena Parish. The Summer Learning “Gain” Initiative targets children who live at or below the poverty line that are at-risk for unsafe environments, inadequate nutrition, limited access to healthcare, and low quality, early education opportunities. Through this partnership, with music entities such as the Missy Radio Organization, the camp can ultimately bridge this learning gap. Research has proven that access to quality music education engages students and improves early cognitive development in math and reading. Whether you call it Interactive Radio Camp, or iRadio Camp there is one thing that is for certain, “It definitely gets the youth moving! Music is the only medium that can bring people of all races, ages, and socio-economic backgrounds together for one cause,” said Gordon. iRadio Camp, which will be held until June 30, is in its fourth year; but this is the first time the camp has been held in St. Helena Parish. Baton Rouge, LA – Dr. Leodrey Williams, Chancellor of the Southern University Ag Center, was presented with a Certificate of Recognition for 50 years of service in the field of Agriculture by the Baton Rouge Metro Council on June 10 during the council’s meeting. East Baton Rouge Mayor-President Melvin L. “Kip” Holden also honored Dr. Williams by proclaiming him ‘Mayor-President of East Baton Rouge Parish’ for the day. Dr. Williams has been an employee of the Cooperative Extension Service for 50 of its 100 years. He was the last person hired to hold the title of “assistant county agent for the work with Negroes” in Richland Parish in 1965. Six weeks after being hired the title was deemed illegal because of the passing of the Civil Rights Act. During his lengthy career, Williams has held positions at both Southern University and Louisiana State University. He also served on several national committees and was appointment as the ombudsman of a national task force organized to ensure the “upward mobility of extension.” Williams would go on to become the national director of this task force where he was in charge of the funding for extension programs at 104 land-grant universities. In 1995 Williams returned to Southern in the position of extension director. 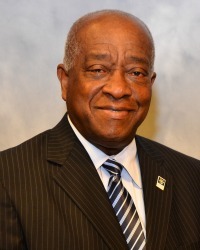 In 2001, Williams was asked to lead the newly-formed Southern University Agricultural Research and Extension Center as the fifth campus of the Southern University System. Williams has been the only person to serve as Chancellor of the SU Ag Center since its inception. He will retire June 30. 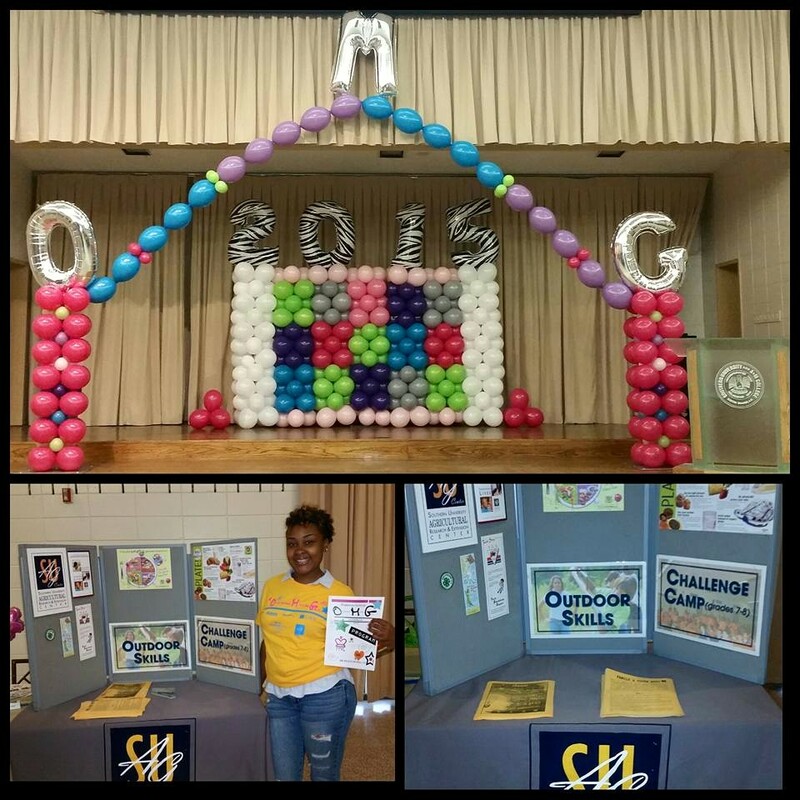 Third Annual O.M.G Conference a Huge Success! Third annual O.M.G. Conference participants. Nicolette Gordon, SU Ag Center Assistant Area Agent, stands beside a display during the 3rd annual O.M.G. Conference held on May 30. The conference was held on the Southern University Baton Rouge campus. 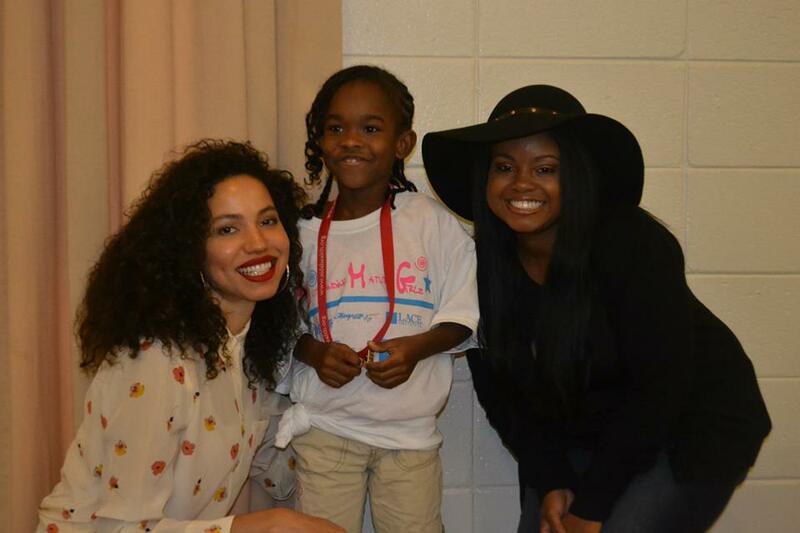 Actress and HIV/AIDS Activist Jurnee Smollet-Bell, standing on left, poses with an O.M.G. Conference participant and the event's keynote speaker HIV/AIDS activist Hydeia Broadbent, standing on the right. 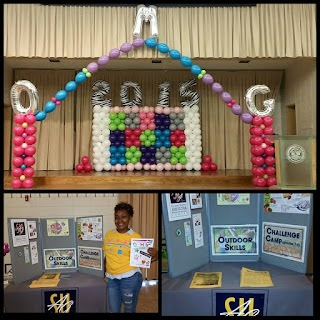 Baton Rouge, LA- Over 400 girls were pre-registered to participate in the Outstanding Mature Girlz (O.M.G) Conference, which was held in honor of National Women and Girls HIV/AIDS Awareness Day on Saturday, May 30 on the Southern University Baton Rouge campus. The conference was started as an awareness tool for young ladies, ages 10 and older; to better understand the disease, learn about prevention, and to discuss other useful information via a girl-talk style outlet. The daylong free event included live entertainment and guest speakers, including Eugene Collins, from Louisiana’s Office of Public Health, who spoke about the youth HIV/STD rates and Pastor Angel Nicholas who shared a personal story. The keynote speaker was HIV/AIDS activist Hydeia Broadbent. Known for her childhood appearance on the “Oprah Winfrey” Show, the now 31-year-old activist was born HIV positive and developed full blown AIDS by age 5. HIV/AIDS Activist Jurnee Smollet-Bell was among the celebrity guest who made appearances at the conference. Smollet-Bell has been featured in several films, such as Eve's Bayou, The Great Debaters and Tyler Peery’s Temptation. She also appeared in many television series including Friday Night Lights and True Blood. Internet sensation CeCe of “The CeCe Show,” also stopped by to teach the young ladies a new dance craze! Free HIV testing was available during the event. The first O.M.G. Conference was held in Ponchatoula, La. in 2013 with 100 girls in attendance and received support from both the mayors of Ponchatoula and Hammond, La. Since moving to Baton Rouge in 2014, the attendance has grown and received a proclamation from Mayor-President Kip Holden. State Representative Edward Ted James shakes hands with Youth Legislator JaQueilon Floyd during the 'Youth Legislature Day at the The Capitol' on June 1, 2015. 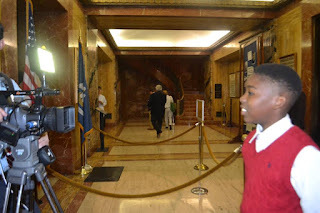 Youth Legislator JaQueilon is interviewed by WBRZ News Channel 2 during the 'Youth Legislature Day at the Capitol' on June 1, 2015. 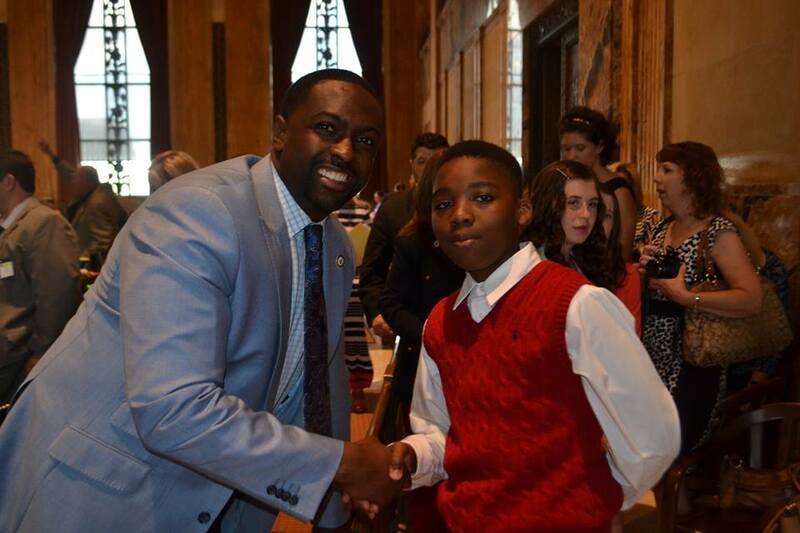 Baton Rouge, LA- Selected Youth Legislators joined together for a “Day at The Capitol,” on Monday, June 1. Youth Legislator, JaQueilon Floyd of St. Helena College & Career Academy was among the youth invited to participate in the event. 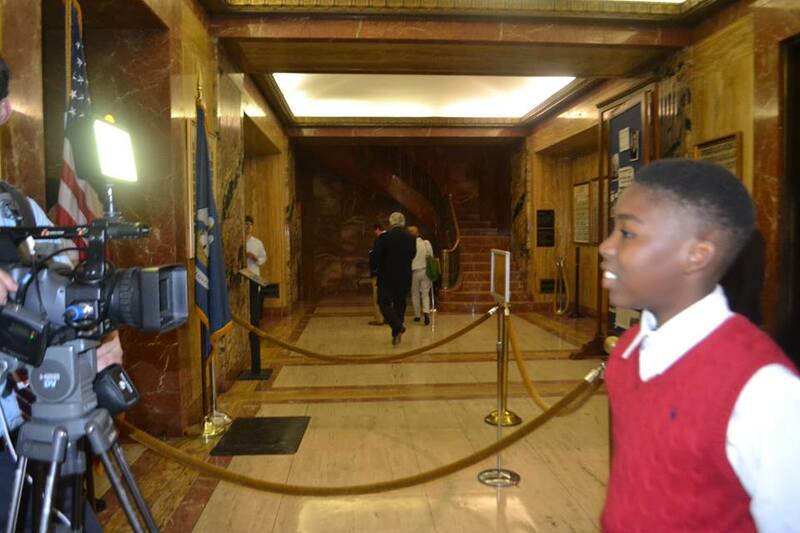 Floyd spoke with members of the Louisiana House of Representatives and was interviewed by WBRZ News Channel 2 about the bill he wishes to propose during the next mock Youth Legislative Session in 2016. He also spoke with the Southern Strategy Group about his experience with Youth Legislature. During the, 'Youth Legislature Day at The Capitol,' The Boys and Girls Club Youth Legislator Program was honored in the House Chamber by State Representatives Edward Ted James and Regina Barrow. Representative James also recognized SU Ag Center’s Assistant Area Agent, Nicolette Gordon, for her continued work with youth programs in the state of Louisiana. Baton Rouge, La. 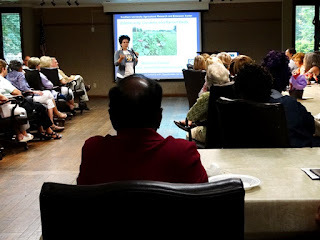 – Employees of the Southern University Ag Center made a PowerPoint presentation during the East Baton Rouge Master Gardener Association meeting at the Burden Conference Center on June 2, 2015. 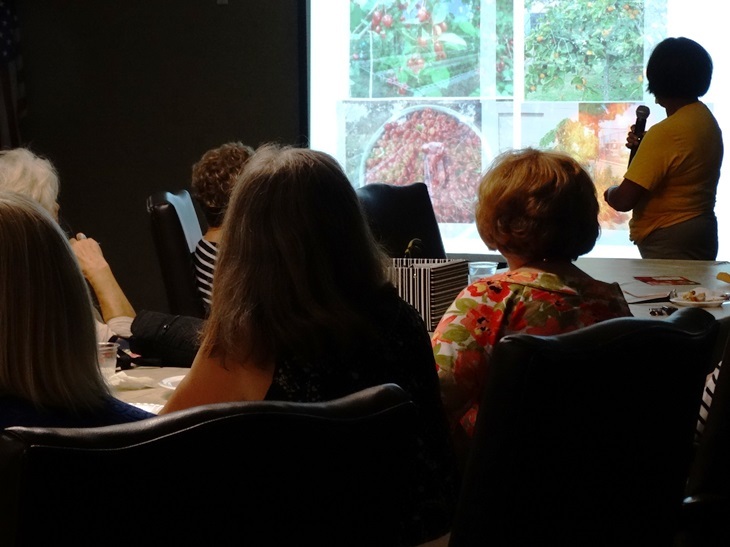 Mila Berhane, Senior Research Associate and Stephanie Elwood, Assist Extension Specialist, shared information on edible landscapes and community gardens in the Baton Rouge area. The gardening program at the SU Ag Center assists with establishing gardens in communities, schools, and backyards. Edible plants discussed at the meeting included herbs, vegetables, some tropical crops like Roselle Hibiscus and a few trees. These can serve as ornamentals for beautifying the landscape while providing food. The Master Gardener Program enables volunteers interested in horticulture to be trained in basic horticultural topics by Extension Service personnel and then answer questions about gardening problems and promote horticultural understanding in the community. 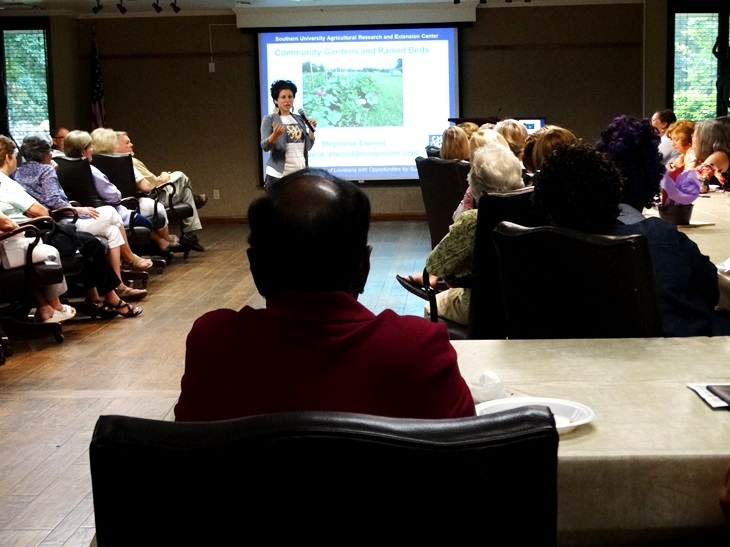 Louisiana Master Gardeners include EBR volunteers who have a desire to learn and a willingness to help others in the community. For further detail or help setting up a garden, contact Stephanie Elwood or Mila Berhane at (225) 771-2242. Baton Rouge, LA- The Southern University Ag Center’s Second Chance 2 Recovery (SC2R) Program held a petting zoo and a graduation ceremony during the 7th Annual One Day with Kids at the East Baton Rouge Parish Prison on June 2. Sixteen incarcerated mothers were presented with certificates of completion for participating in the six-week course which addresses critical family, social health and environmental and economic issues. The One Day with Kids allowed mothers to physically interact with their children for a full day in a relaxed, fun environment. During the program, several SC2R participants expressed how the program helped them with their parenting skills and has preparing them for their re-entry into mainstream society. Judge Pam Taylor Johnson with the East Baton Rouge Juvenile Court served as the keynote speaker for the program. She encouraged the inmates to use what they learned in their classes and their time incarcerated to help them become better citizens. The SC2R program provides incarcerated individuals with educational lessons on the topics of family communication, parental involvement, anger management, additive behaviors, co-dependency, resume writing and interview skills. The inmates must have a good behavioral record at the jail to participate in the SC2R Program and can not be accused of crimes against children. For additional information on the SU Ag Center’s Second Chance 2 Recovery Program, contact Tiffany Franklin at 225.771.2242. Baton Rouge, La. – The Southern University Ag Center witnessed the honoring of outgoing Chancellor Leodrey Williams by the Legislature on June 2nd, 2015. As part of the month-long celebration of his retirement, the Senate recognized Dr. Williams for 50 years of outstanding service in Cooperative Extension around the globe, including consulting services to African farmers and holding top administration positions in Louisiana and the nation’s capital. Chancellor Williams was surrounded by family, friends, and well-wishers during his recognition. He ends his tenure as Chancellor of the SU Ag Center on June 30. Baton Rouge, La. 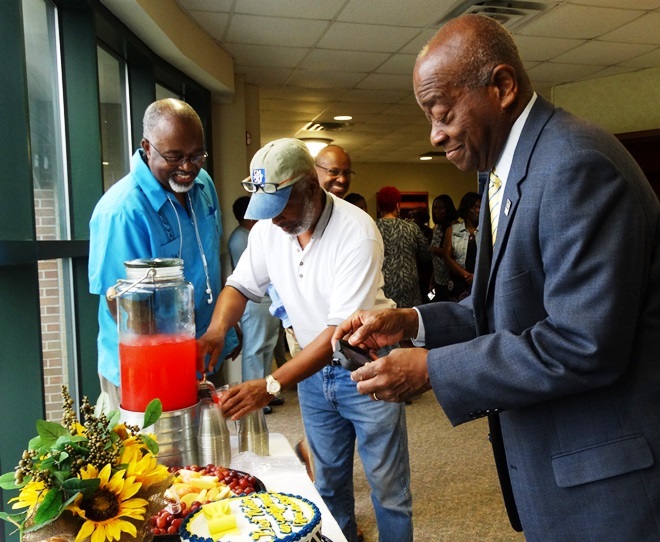 – The Southern University System is celebrating its 125th year as an 1890 Land-Grant Institution this year. One of the goals of marking this milestone is to set up a scholarship fund in memory of Justin Morrill, the father of Land-Grant System in the country. 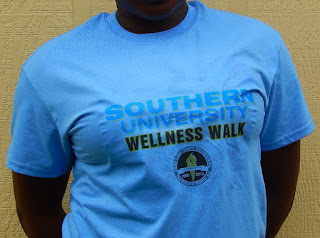 In April, a wellness walk was held in commemoration of the 125th anniversary. At the time, the t-shirts for registered walk participants went for $18.90. In other to increase scholarship funds the t-shirts are discounted to $15.00 each. You can get one for a friend as a souvenir, or make a donation in any amount to the Justin Morrill foundation. To please an order, contact Dr. Doze Butler via email at doze_butler@subr.edu or visit http://www.suagcenter.com/PageDisplay.asp?p1=2251 for full detail of 1890. 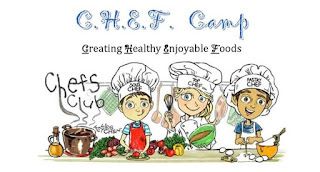 Baton Rouge, LA- The SU Ag Center, in collaboration with the LSU AgCenter, will sponsor several youth cooking schools entitled, “Creating Healthy Enjoyable Foods” (C.H.E.F. ), for youth in eight parishes throughout the state. The C.H.E.F. cooking school is designed to teach youth basic cooking principles and nutrition education based on the USDA’s, “MyPlate” food guidance system and the 2010 Dietary Guidelines. “These camps are designed to teach children the basic principles of healthy eating,” said De’Shoin York Friendship, Associate Specialist for Nutrition at the SU Ag Center. “In many households the parents work and very often when kids get home from school they are home alone. Instead of choosing fast foods or frozen prepared foods, which may be high in fat or sodium, our cooking camps teach youth how to safely prepare nutritious snacks and meals, many of which do not involve the use of a stove,” she added. Open to youth in grades 1st – 12th ; only 15-20 participates will be accepted for this session. Southwest Louisiana Sickle Cell Anemia (SWLA), Inc., 1917 Harless St.
Open to youth ages 9-13; only 20 participants will be accepted. Each camper will be responsible for bringing their own bag lunch with a healthy drink each day of camp. Open to youth ages 9-16; only to 25 youth will be accepted. Open to youth ages 9-16; only 10 youth will be accepted. To register, contact Sherry at 318-559-0060. Open to youth ages 9-18; only 20-25 youth will be accepted. To register, contact Sarah Sims at 318-574-2465 or visit the LSU/ SU Ag Center, 114 North Cedar Street, Tallulah, LA. Open to youth ages 9-12; only 12 youth will be accepted for this session. To register, contact Patricia Lee at 318-226-6805 or e-mail patricia_lee@suagcenter.com. Open to youth ages 12-14; only eight youth will be accepted for this session. To register, contact the SU/LSU Ag Center at 225-562-2326 or email lisa_weber@suagcenter.com. Open to youth ages 9-12; only 14 youth will be accepted for this session. To register, contact the Lafayette Extension Office at 337-291-7090 or 337-254-2788. Open to youth aged 9-11; only 12 youth will be accepted for this session. To register or to obtain a registration form, contact Kiyana Kelly or Marquetta Anderson-Reynolds at 225.389.3055 or via e-mail at, kiyana_kelly@suagcenter.com or marquetta_anderson@suagcenter.com. This session is open to youth aged 12-14; only 12 youth will be accepted per session. To register, contact Salette Tennie at 318-253-7526.